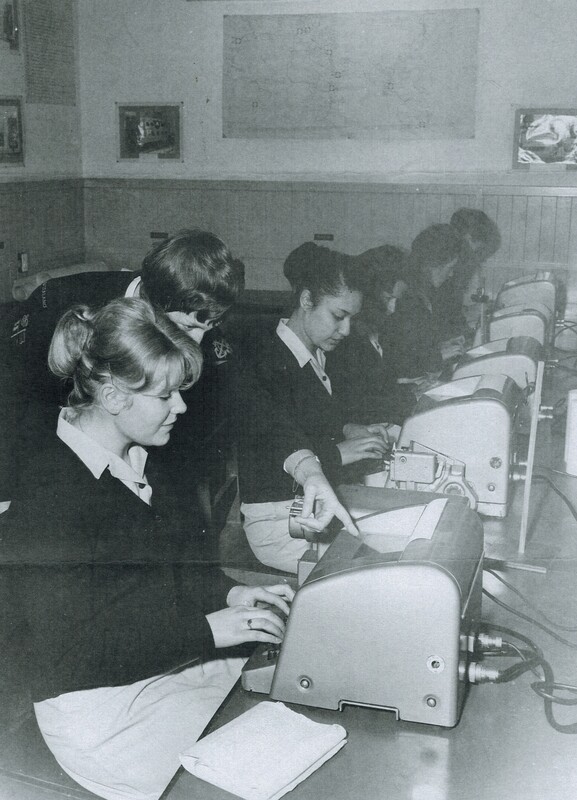 This is an image of a number of Signal Wrens undertaking training at the Communications Training School, North Head. The teleprinters are Creed Type 12’s. Click on image to enlarge. L – R Signal Wren Velvet Kingston, PO Signal Wren B. McPherson, and Signal Wrens Jackie Godsmark, Margaret Sutherland, Lenore Crux and Jan Hynd.